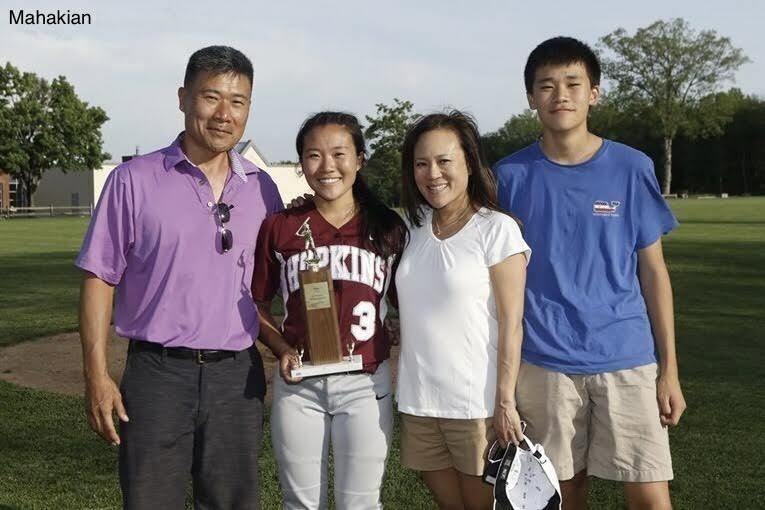 The Chung Family after Varsity Softball won the 2016 FAA Championship. Over ten summers on a softball diamond, I have mastered the fundamentals of survival: wrapping centimeter-wide blisters from countless hours of batting, timing 60-mph riseballs and knee-buckling changeups, and packing provisions to last 8-hour game days. Yet what continues to intrigue me are not the obstacles I face on the field, but rather the zoo of softball personalities filling the stands. The “zoo” is made up of various characters, from the extremists who clang cowbells and yell at umpires and players to figures who linger behind the dugout beaming their nervous intensity onto the field. Amid this menagerie is my own father, seated stoically; whether I had hit the walk-off home run or I had committed four errors in a single inning (which regrettably has happened), he always remained near-expressionless. For many years, I assumed his lack of expression indicated disinterest in my play, as we were surrounded by parents who rooted maniacally for their children and reacted passionately even to poor performance. Then, in my sophomore year, I finally learned who he is and what makes him act the way he does. I spent over twelve extended weekends playing travel softball for the most competitive team in Connecticut, facing national competition in tournaments and showcases. My father, the seemingly detached dad, sacrificed his time and accompanied me to every one of these events. Following our year of travels, I better understood him and his nature, learning about self-awareness and control, while also discovering my own motivation. He studied my game, and I studied him. Over those twelve trips we drove and talked. He taught me how to drive and I adopted his precise and effortless manner in willing the car to our destination. He told me stories about his childhood in Queens, and how it felt to learn English as a second language; I told stories about how I felt like the occasional outsider being referred to on the field and elsewhere as not just “the small girl,” but “the small Asian girl.” Contextualizing his decadeslong friendships from childhood and work all over the world, I learned the importance of a proper foundation and meaningful social effort for any lasting relationship. A constant fixture in our postgame car-ride was a discussion of my play, my father providing me objective suggestions as a professional would. While for years I had interpreted his expression for disinterest, in reality he memorized the details of every play and was more attentive than I could have imagined. My father was my biggest supporter and mentor, his blank expression excluding him from the softball “zoo” I had been so fascinated with. 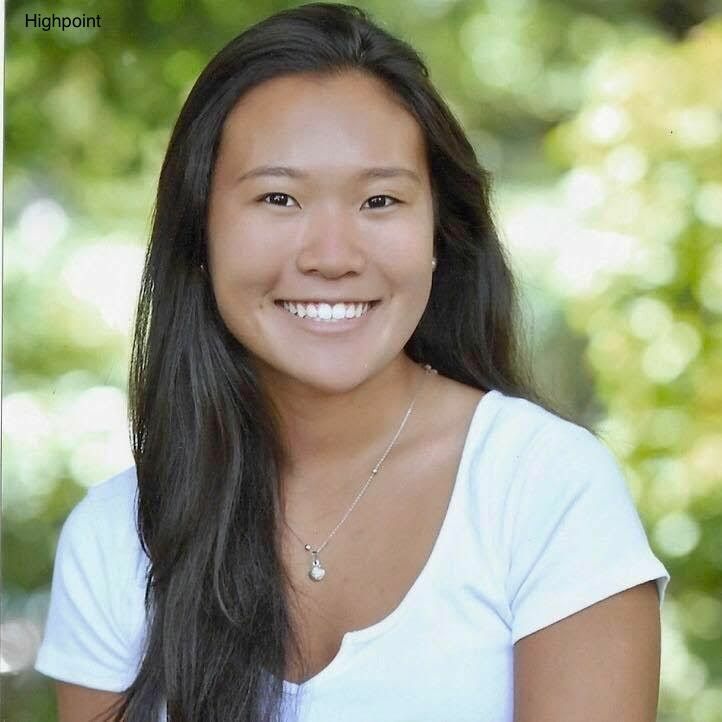 Seeing how my teammates were affected by their parents’ unchecked reactions—breakdowns for fear of disappointing her parent, or constant worry about her father’s temper—and better understanding my father’s thoughtful nature, it became obvious to me why he chose to be the distant yet attentive spectator, and I am grateful for it. I matured and learned from my father’s rich background, thoughtfulness and logic, realizing in time the importance of perseverance. On the field, his stoic expression allowed me to find my own motivation to excel rather than one created by a fear of his reaction. I grew to enjoy challenging myself to improve my game both on the field and in the classroom, where I was passionate to learn and satisfy my curiosity. I learned to be independent and ambitious for my own sake, pursuing my interests with energy and confidence no matter the circumstances. I studied my father, and in turn, I studied myself. I see myself in him, whether I’m considering how my emotions and actions might impact those around me, or embarking on new journeys and traveling with unwavering strength and confidence. I am proud to be my father’s daughter, and am grateful for the hours we spent together on our travels.